When you think about it, talk shows are pretty ridiculous. 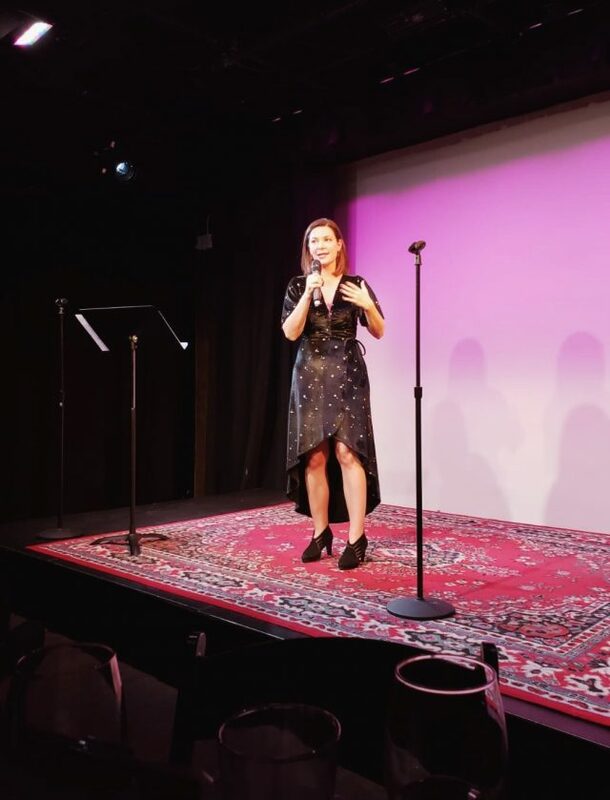 From the strange formality of three piece suit-clad hosts to the absurdity of having an actual office bureau set up onstage, the talk show trope is one that ought to inspire as many questions as it does laughs. 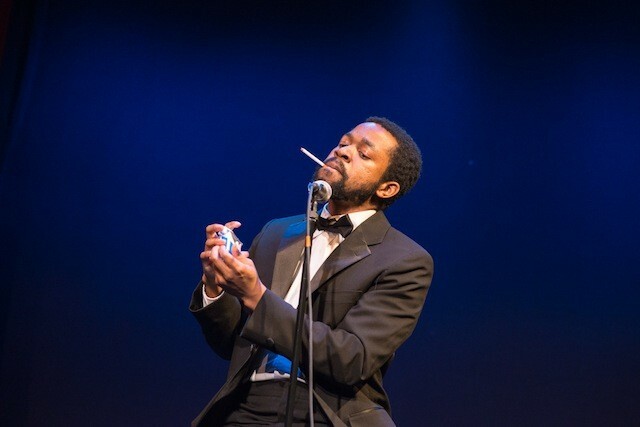 No one knows this better than Ikechukwu Ufomadu, a 30-year-old performer who’s been staging faux talk shows for the last five years in various venues around Brooklyn and Manhattan. Most recently, you might have caught Ufomadu in Ike at Night at the Bushwick Starr, or as Barack faux-Bama in our Facebook Live interview last week. A Park Slope resident with a penchant for entertainment, Ufomadu draws inspiration from the likes of Andy Williams, Johnny Carson and David Letterman for his four pop-up talk and variety shows: Ike at Night, Ike Night, Nightcap | by Ike and Ike for the Holidays. Like any television personality, the man is far more than the entertainer. So Brokelyn sat down with Ufomadu to talk about growing up making friends laugh every now then, and learning how to do the same for strangers five nights a week. In terms of adaptation, Ufomadu’s research is minimal. As far as he’s concerned, just sitting down and watching an episode of The Late Show with David Letterman is enough to give him the impulse to create. It’s true that the closer you look, the more performative these late night talk shows seem. Those cigarettes are slow-burning, just like his sense of humor. Ikechukwu Ufomadu grew up outside Dallas, and discovered his love of performing mostly by accident, as these stories often go. The first stage time he ever got was in the sixth grade, as part of a speech and debate competition, where students were given the option to do 7-10 minutes of either storytelling or pantomime. Ufomadu settled on the latter. Try, if you can, to play back everything Ufomadu says in your head at half the speed of normal speech. The performer’s thoughtful, understated demeanor recalls other slow-burning and deadpan comedians like Joe Pera and Gary Richardson. In this light, it’s easy to see why a middle school pantomime launched serious career aspirations. After graduating from college, Ufomadu found himself doing more experimental theater with friends. One such friend had access to an entire house in Bed-Stuy, and wanted to turn it into a performance space. Ufomadu was asked if he wanted to make something, and he offered up the idea of re-staging an Andy Williams Christmas Special. Just like that, A Special Christmas (a collaboratively-built seedling of would one day inspire Ike for the Holidays) was born. Ufomadu and his buddies staged an immersive talk show experience spread out over two apartment units and two floors. On the first floor, a cocktail hour. On the second, a dinner table that could seat 50 people. There was certainly reality involved, even if it was all a kind of mirage. Among their friends, the show was a hit. That fuzziness is probably familiar to you if you do anything in the arts in New York. After a certain number of tries, or years spent scratching at the surface of what might one day be your creative niche, all those projects and collaborations and false starts and one-offs just start to bleed into one another. As an entertainer, Ufomadu’s shows are a kind of movable feast nowadays. There’s no rhyme or reason to how often any of the Ikes take place, and if you’re not looking for them then you might miss them entirely when they do land two or three-week runs at Joe’s Pub, JACK and the like. Still, they sustain Ufomadu’s career (in addition to his part-time work as a delivery boy) because they function as an interwoven series that, like the talk show trope itself, never really goes out of style. 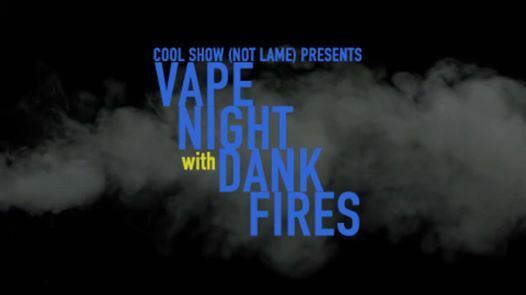 Ike at Night is the performer’s signature bit, a talk show accompanied by a live band where he welcomes guests the same way Fallon or Letterman would. 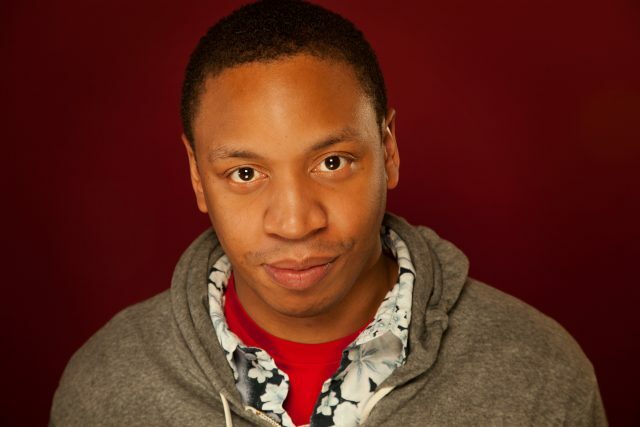 Ike Night is more of a solo bit that combines standup and a few variety acts from special guests. 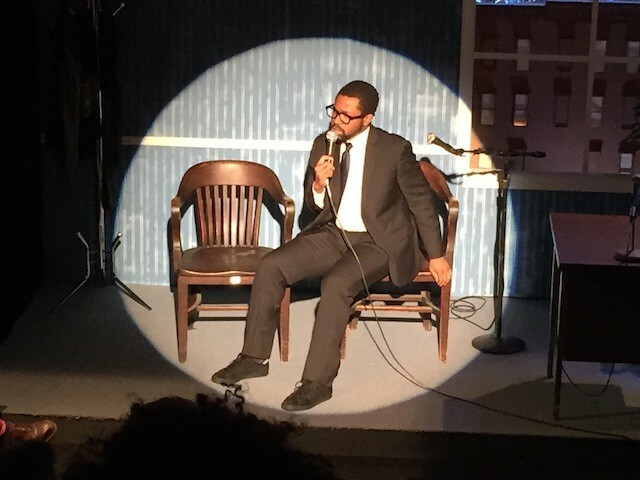 In Nightcap, the concept is elevated: Ufomadu plays his same talk show persona, but he’s “unwinding” in front of a second audience after a night of doing his other show. Ike shares a nightcap with the audience over lilting piano music, sultry guest performances and intimate conversation. It’s a fear we can all relate to, and Ufomadu uses it as a kind of momentum, propelling him to keep innovating on the talk show format, even in moments when he’s not sure whether anyone’s still listening.